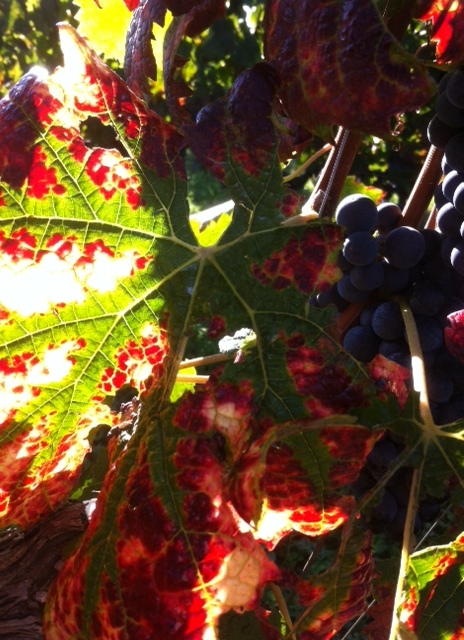 As Autumn sets in the Cabernets in the Medoc are finishing to be picked. The merlots on the limestone plateau of St Emilion at Beausejour Bécot only started this week and are some of the last to be picked in the region. Their Cabernet Francs will follow on. The conditions in 2015 have given an amazing purity of concentrated ripe fruit and a good tannic silky structure from the ripe skins. Mother Nature has been kind this year. The kindest since 2010. Perhaps an apologetic gesture to make up for its wickedness in 2013 (which many smaller producers are still reeling from). Many have finished and the juice is busy fermenting in the vats turning into the first wines of 2015. But how will this vintage turn out? What will it be known for…..
What we can say already about Bordeaux 2015? The grapes were incredibly healthy across all varieties this year with very little sorting necessary. (In difficult years the difference between machine harvesting which takes everything by shaking the grapes off the bunches and hand picking where there is a premier sorting in the vineyards is vast – not so this year). Good homogenous quality across all grape varieties and régions. Larger classified growths and the smaller producers (of which there are 8000 across the region). Very fruity deep coloured wines almost inky black. High degree of pigment and tannin levels with beautifully ripe skins. Hopefully not too much over extraction will be done. Long ageing potential. Yield due to the dry summer the wines this year are very concentrated and yields are low around 30-35hl/hectare in the quality areas. The berries were very small this year (due to lack of juice due to the dry summer) so ratio of juice to skin is very low. Perhaps the only slight concern is the potential low acidity in some wines. Only time will tell….